Francesca Hughes had the great good fortune of studying architecture under Isi Metzstein, at the Edinburgh University, and Christine Hawley, at the University of East London. Graduating with Distinction in 1992, she has taught design studios and history & theory seminars since 1993, first at The Bartlett School of Architecture, UCL, in the degree and masters school, and then at the AA where she was Diploma 15 Unit Master for six years. Francesca currently lectures in the history and theory at the AA and supervises Masters dissertations at the Bartlett. She is currently guest professor on the International Masters Course at KU Leuven/ Brussels and seminar instructor at the Berlage/TU Delft.She continues to serve as external examiner at many schools in the UK and Europe and has lectured internationally and acted as keynote speaker at numerous conferences. Francesca is editor of The Architect: Reconstructing her Practice (MIT Press, 1996), Drawings that Count (AA Publications, 2012), and author of The Architecture of Error: Matter, Measure and the Misadventures of Precision (MIT press, October 2014). 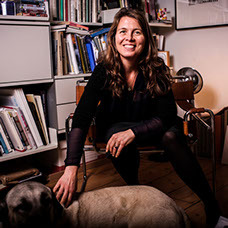 Her written and built work has been published by AA Files, AR, A/R/P/A, ANY, Art Forum, Harvard Design Magazine, Merrel, Routledge, Monacelli and Wiley and exhibited in the UK and abroad. She is particularly keen on engaging in cross disciplinary productions, recent collaborations have included a book with classicist Mary beard and historian of science David Edgerton; a research project with the Science Museum on their physical infrastructure collections; and Aeolian Piano, a film with artist Catherine Yass. Francesca is a contributor to e-flux Architecture’s Superhumanity at the 3rd Istanbul Design Biennale and is currently working on a pre-history of the Universal Discrete Machine. Jonathan Meyer was born in Santa Cruz, California. 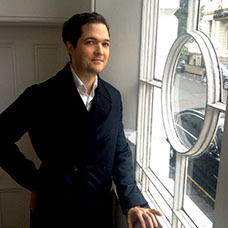 After training in both architecture and engineering he moved to London in 1990 to work as an architect and subsequently co-ran a design studio at the Bartlett School of Architecture, UCL, with Francesca Hughes from 1995-1998. He then changed tack, and has focussed on making art within the practice ever since. 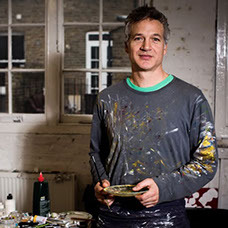 Jonathan’s art works have been exhibited in the UK, France, Belgium, USA, Korea and Australia, including 3 solo shows at the Beardsmore Gallery in London. He is repressented in France by Galerie Pascal Lainé, where he has had two solo shows, and in London by the Frameless Gallery, where he last held a solo show in June 2017, Suffer no Fools: a Primer for the End Times. Gergely Kovács is an architect graduated from the AA Diploma School in 2009, he also holds an MSc in Architecture and Engineering from Budapest University of Technology. While at the AA he was awarded the RIBA Goldfinger Scholarship, the Nicholas Pozner Prize and the William Glover Bequest Prize. Gergely is a project leader at Heatherwick Studio heading a 400.000 m2 mixed-use development in the heart of Shanghai, a collaboration between Heatherwick Studio and Foster + Partners, and a pedestrian bridge in the UK. He is also leading the computational design unit of the practice. Gergely has been teaching at the AA and the Bartlett. He is the unit master of Unit 1 at the Bartlett engaged in a live collaboration with the Science Museum.